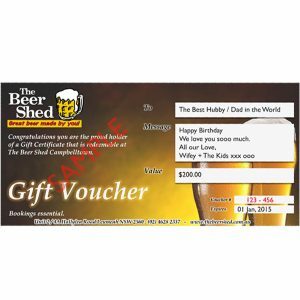 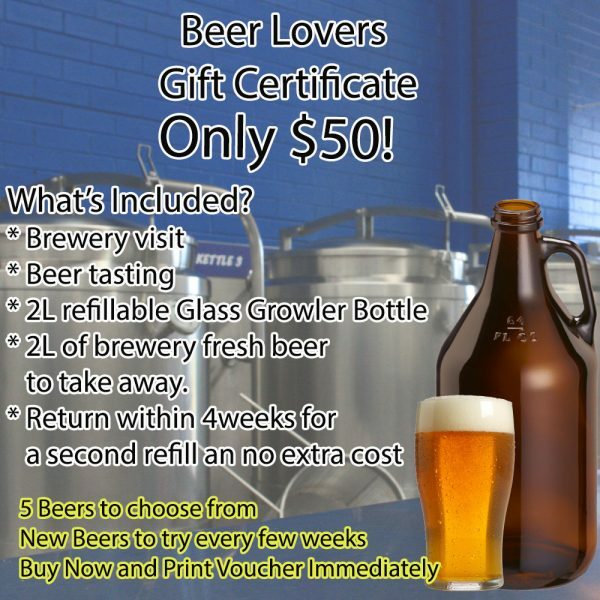 The perfect gift for the beer lover is the Beer Shed Beer Lovers Gift Certificate! 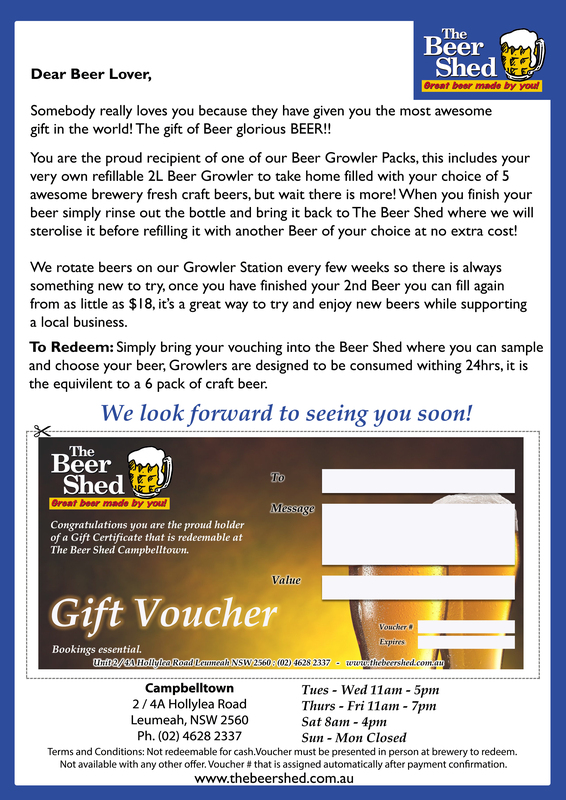 With voucher in hand you will be welcomed into The Beer Shed micro brewery, on arrival you will be greeted by our friendly staff and shown around. 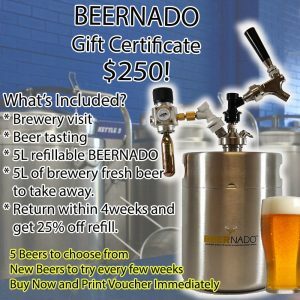 You will then get to sample some of our beers before receiving your very own refillable 2L Beer Growler and can choose from one of the 5 beers on offer, the Growler will be filled and you can take home and enjoy. 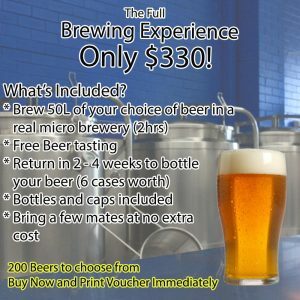 When empty simply rinse the bottle out and bring back to the brewery where we will fill it again with another beer all included in the voucher. 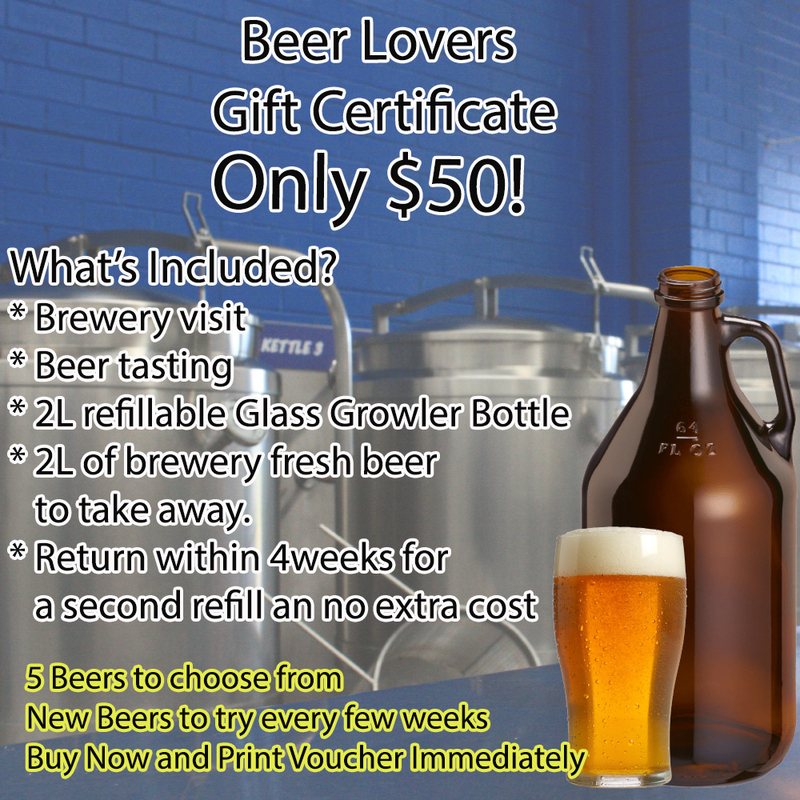 The Growler bottle is yours to keep and can be rinsed and brought in any time after that as we change beers all the time, fills start at as little as $18 which is the equivalent to a 6pack of beer.